Thundercracker is contemptours of anything that cannot fly. Not totally convinced of the Decepticons’ cause, but they’ve persuaded him to continue battling the Autobots. Flies at speeds up to 1500 mph. Produces controlled, deafening soinic booms – can be heard for 200 miles. Equipped with powerful drone rockets and incendiary guns. Doubts about his cause sometimes impedes his effectiveness. 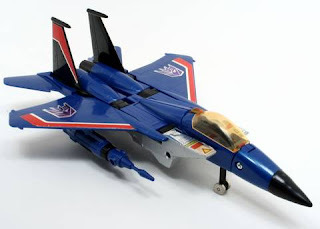 The seeker jets were strange for transformers because they had so many pieces that had to be pulled off of them and then reattached during transformation. Apparently that is really frowned on within the current Transformers fan circles. With all the separate parts, it also means a complete one probably goes for quite a bit. 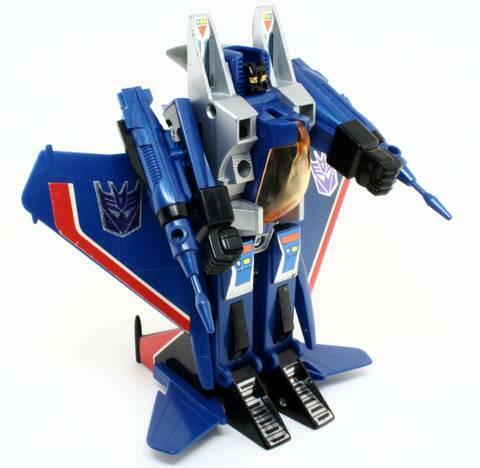 Oddly enough, Thundercracker is my only Decepticon that is going to be in my countdown. While I’m normally a big fan of the bad guys, I usually liked the autobot toys better then the Decepticon ones. Again, the awesomeness of Lockdown doesn’t count here since we’re talking the bots from my childhood. 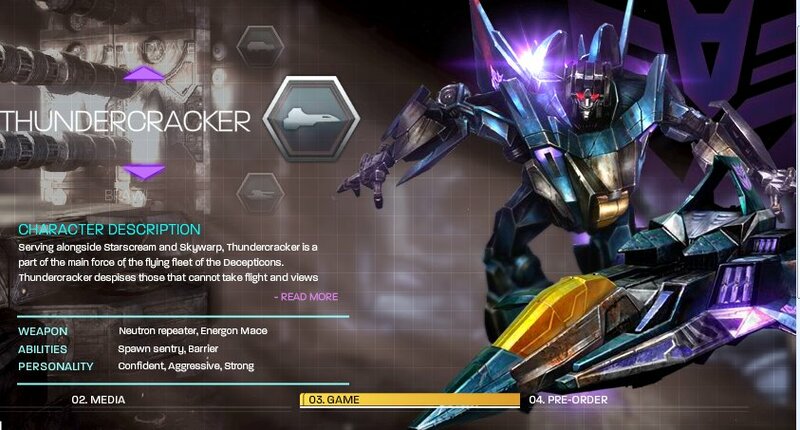 Being such an iconic member of Decepticon army, Thundercracker will be in War for Cybertron. 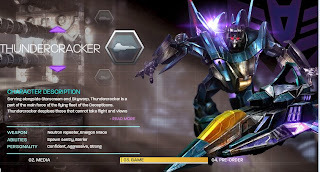 There are two campaigns in the game a Decepticon and an Autobot one, so it looks like I’ll be able to take control of at least one of my favorites. Expect the countdown to continue the next few weeks until the War for Cybertron release date!